Ever felt the need to pretend you are one of the three musketeers while cooking a burger? Your prayers have been answered. Thrust into barbecue season and dazzle your guests with the BBQ Sword. 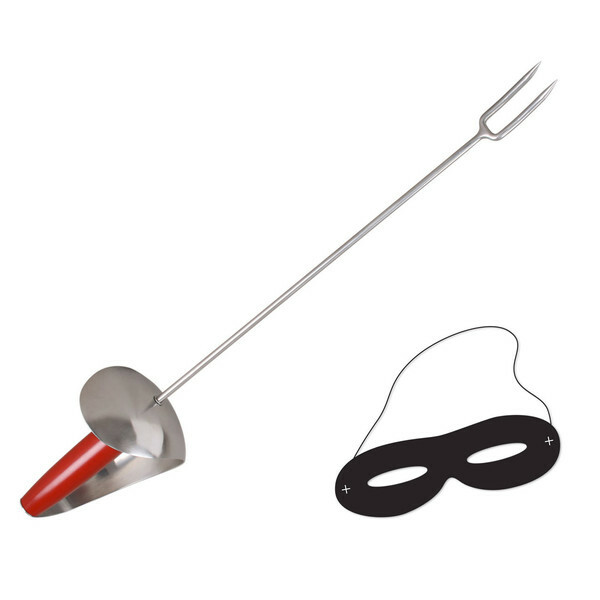 Complete with cardboard mask to conceal your identity, this grill-side accoutrement will having you looking the complete Dumas while serving up the sausages. The curved steel hand-guard protects your mitt (gloved or not) from rogue flames, while the wooden handle stays cool – even when you’re poking the charcoals of injustice.